I think I’ve gone on record many times before saying that when it comes to flankers, no brand does them better than Mugler. 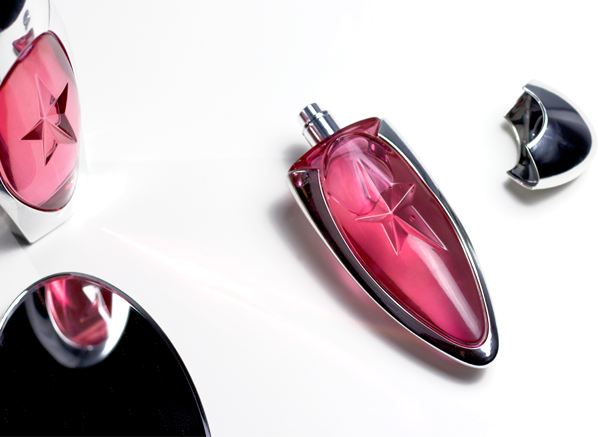 With each instalment in their fragrant franchises, Mugler manages to present intriguing twists on familiar themes, creating fragrances that always bring a sense of surprise to the wearer. It’s this never dull attitude that makes Mugler one of the most exciting brands on the market – one simply doesn’t know what they’re going to do next and whilst one may not like every single fragrance they make, it cannot be denied that Mugler fragrances make a statement. In 2016 Mugler launched Angel Muse Eau de Parfum, a modern twist on Angel that intended to present a younger, more contemporary idea on the oriental gourmand. Created by perfumer, Quentin Bisch, Muse took the chocolate notes of Angel, switched them out for hazelnut, kept the collision note of patchouli and injected a masculine twist of vetiver. The rest, as they say, was history. Now, in 2018, Mugler present Angel Muse Eau de Toilette, a velvety gourmand that livens things up with a splash of fruit, housed within an Angel Muse cosmic pebble flacon. It’s so Mugler and so Muse. The first test of a flanker is whether it is significant enough of a difference in comparison to the original. After all, there’s no real point if it smells exactly the same, right? Well, you’ll be pleased to know that Angel Muse EDT passes with exploding colours here because the top notes are wonderfully juicy and fruity, a facet that is entirely new to the franchise. 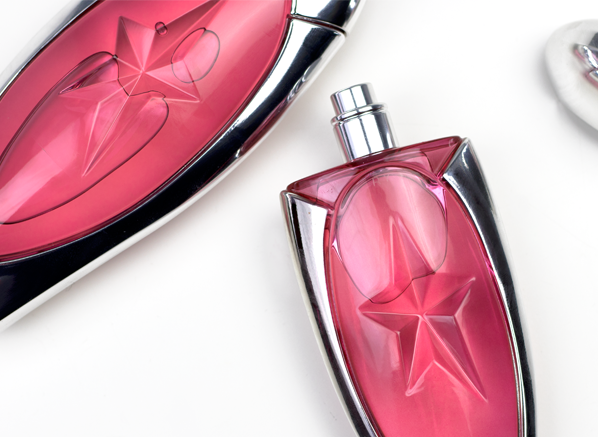 One gets a vibrant, cocktail vibe that pays homage to the neon dewberry note in the top notes of Mugler’s classic Angel, but the impression is much fuller, more juicy and colourful. This shimmering fruit vibe brings a sense of fun to Angel Muse, making it the perfect to pair with a glittering cocktail dress on a fancy night out. See, a lighter concentration doesn’t necessarily mean less fun! The second test for a flanker is whether it is faithful enough to the original to bear the same name. Let’s face it, if Angel Muse EDT shares nothing in common with the EDP, then they really should be two separate fragrances. Well, once again, this version blows the test out of the water and carries the key theme of the original all the way through the theme of hazelnut. Well to call this ‘hazelnut’ is to call a macaron a meringue – it’s just not specific enough. In Angel Muse EDT we see the same smooth hazelnut spread accord that is addictive, delicious and multifaceted. It’s a fresh, sort of nuttiness swirled in with a creamy texture, adding just an element of green to lighten the gourmand tendencies. The addictive heart is much the same as the original, which is a good thing because it’s so delicious, why would we want it to change? Our third and final flanker test is the simple question ‘does it all work?’, and, as you may have guessed, Angel Muse EDT gets a yes vote from me. In the base it pairs akigalawood (a luminous, patchouli-esque material that is clean and fresh) and vetiver in a lighter manner than the original. I find it fresher and a little clearer, with a greener emphasis on the vetiver, all of which is shrouded in a transparent veil of Nutella – sorry, I mean ‘hazelnut spread’. It comes together beautifully, rounding off the composition with hints of vanilla and soft woods, creating a magnetic session between one’s nose and wrist – they just need to be near each other. This entry was posted on Wednesday, January 17th, 2018 at 9:15 am and is filed under Candy Perfume Boy, Fragrance, New products, Tried & Tested. You can follow any responses to this entry through the RSS 2.0 feed. You can skip to the end and leave a response. Pinging is currently not allowed.